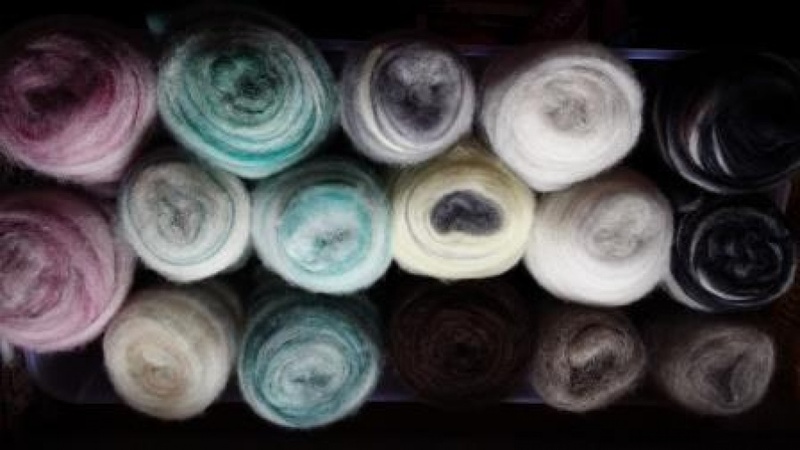 commented on "We have been favoured by Granite Haven Gotland Sheep & Fibre (Victoria) as stockists of their gorgeous rovings and yarn - in natural ..."
We have been favoured by Granite Haven Gotland Sheep & Fibre (Victoria) as stockists of their gorgeous rovings and yarn - in natural and prismatic colours - ideally suited to spinners, felters, knitters and textile artists. Gotland Sheep are native to Denmark, originating on the Island of Gotland off the Swedish coast but now are found through Europe, UK and USA and New Zealand. Granite Haven is the Australian home of this Rare Breed in Australia and Cheryl Crosbie is passionate about spreading the word for her sheep. The long lustrous locks are not dissimilar to EL but have a softness and handle which is unique and will amaze you. Adult fleece usually range 28 to up over 30 micron but Cheryl's younger stock are averaging 22 - 25 micron. Both yarn and roving are processed and spun for Granite Haven in Australia. This is a phenomenal achievement for Cheryl and her mill and we are so proud to be able to offer this fibre to you.